If you're a member of the jazz community in Detroit, you're serious about jazz. And that word, "community," is brought up by everyone in the scene. That extends to all the musicians who learned their craft in Detroit, regardless of whether they stayed here or pursued their art form around the world. Oliver Ragsdale Jr., president of the Carr Center, calls it "the give-back-mode": A commitment that comes from learning from those who came before, then giving back when you can. This is the true spirit of Detroit's jazz community. "There are two kinds of musicians in Detroit: a great set of musicians who had the skills and stayed here and another set of musicians who had the skills and left town," says Ragsdale. "They took the skills with them, but the vast majority of them always stayed connected with Detroit in some way, and what you always see is the heritage and the legacy." That connection to the legacy of Detroit is seen in the lessons and education they continue to provide for the city's next generation of jazz musicians. And there are several powerful institutions who are making sure that if a young person loves to play jazz in Detroit, they have access to education, performances, practice spaces, and most importantly, a sense that they belong in the local jazz community. The Carr Center has gone through a difficult year, losing their prior home in downtown's Harmonie Park as well as their artistic director, the jazz pianist Geri Allen, who passed away from cancer in June 2017. Currently they are operating out of a temporary location at 1505 Woodward Ave. and several other hubs in Midtown and southwest Detroit. But their mission of promoting, preserving, presenting, and developing the African-American arts tradition continues. Ragsdale believes that supporting children and young people's pursuit and interest in jazz is a big part of that mission. "Our jazz education program is different than most in that it's more of a training program than a performance program," he says. "Students come in and learn the fundamentals: scales, technique, improvisation, history, ensemble performance, and soloing." One aspect that makes the Carr Center's education unique is offering private lessons in jazz to any student who is 12 years or older, has access to an instrument, and a beginning ability in music. These private lessons are taught by members of Detroit's professional jazz community at an extremely reasonable rate. 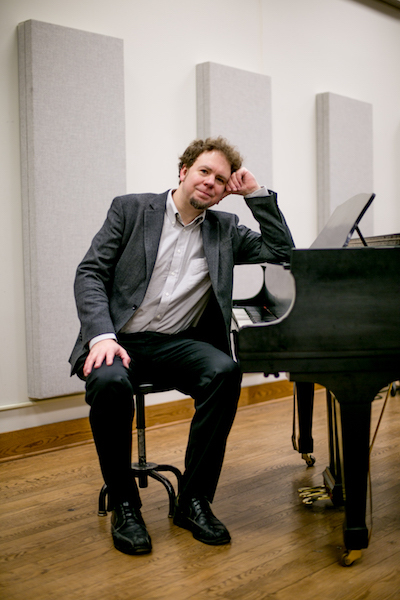 Besides offering private jazz lessons, the Carr Center is continuing with a concept dreamt up by Allen: The Gathering Orchestra, a big band performing ensemble made up of 14 top-caliber young musicians, aged 18 to 28, mixed with four master mentor fellows. The young adults go through several week-long residencies capped by performances throughout the year. Ragsdale describes it as "a killer ensemble" and a fitting memorial to the legacy of their artistic director. Adrianna Sewell, a 13-year-old violin player from Detroit who has been playing her instrument since she was 5, is an active member of the Carr Center's education program and a member of the Detroit Symphony Orchestra's Civic Youth Ensemble. "The Carr Center lets you know about the history and learn about music theory," she says. "I didn't know about music theory before." Sewell says she would like to teach music at a university one day. Charles Newsome, a jazz guitarist and the education coordinator for the Detroit Jazz Festival, recognizes that practical outlook. "Connecting students to the Detroit Jazz community can create a lifelong relationship and a lot of contacts," he says. "Some students who participated in the school programs are now in college and getting hired for gigs by faculty members who taught them." Newsome adds that many of the students who who take part in the jazz education programs in the city have obtained scholarships to great universities. The Detroit Jazz Festival runs several programs in Detroit. 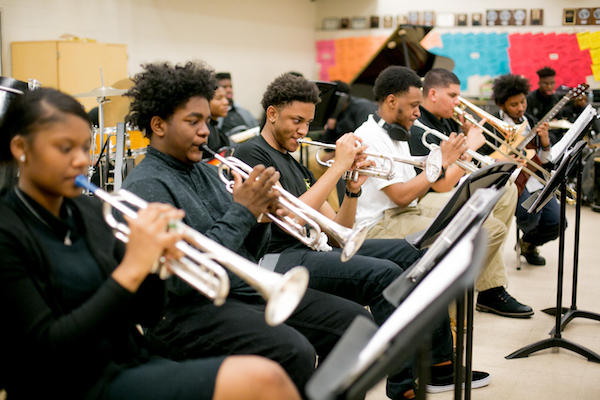 Their Jazz Infusion program helps assist six Detroit schools in providing year-round components to fill the gaps in student's music programs with rotating jazz residents. 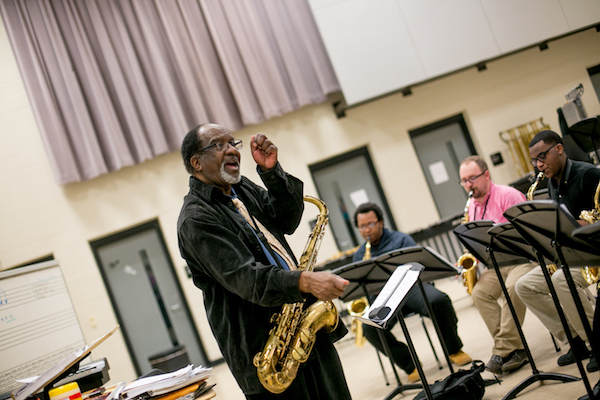 Professional jazz musicians such as bass player Ralph Armstrong or the well-regarded instructor, entrepreneur, and saxophonist Wendell Harrison will rotate through the participating schools, providing lessons on their respective instruments or tutorials on improvisation. Harrison even hosts informal jam sessions at his house, continuing the legacy he began with another important jazz educator in Detroit, Marcus Belgrave, who passed away in 2015. The two of them were founding members of Detroit's original DIY jazz collective, the Tribe, which recorded and released their own music and magazine in the 1970s. These fascinating records promoted self-sufficiency in Detroit's African-American music community and Belgrave was also a lifelong educator. "Marcus Belgrave travelled around the world but stayed anchored here," says Ragsdale. "And he was the greatest example of the give-back mode; he trained generations of musicians. When Marcus passed two years ago at 78, there were people in their 60's who were his proteges." Another Detroit Jazz Festival program is the All City Jazz Combo, a flagship group made up of students from different schools in Detroit. Students must audition to get into the All City group and competition is fierce. They have a showcase performance every year at the Detroit Jazz Festival where they get the chance to meet and learn from some of the greatest jazz legends in the world. Newsome says that at the 2017 Detroit Jazz Festival the artist-in-residence and saxophonist Wayne Shorter brought students from the All City Jazz Combo to his press event and had an impromptu jam with the students in front of the assembled press. During the summer, the Jazz Festival also sponsors one of the only free jazz camps in the area, J.C. Heard Jazz Week, a partnership that also includes the J.C. Heard family and Wayne State University. 40 students compete for a full scholarship to the weeklong intensive jazz workshop which takes place in July at Wayne State. The Detroit Symphony Orchestra also sponsors several youth orchestras and bands within their Civic Ensembles, including three jazz ensembles of varying levels of experience that meet weekly. The director of their Civic Jazz Orchestra, saxophonist Marcus Elliot is part of the younger generation of jazz musicians and has garnered numerous accolades among jazz fans in the city. Growing up in Milford, Elliot was introduced to the Civic Jazz bands in high school, and was immediately blown away by how good some of the players were. He stressed that learning from peers was just as important as having a great mentor. Also important are the many positive side effects that come with the discipline involved in learning jazz. "You learn leadership, how to express yourself as a person, how to work with others, patience," says Elliot. "I think music should be a part of everyone's education." For the student violinist Sewell, who also plays classical music and is a fan of Beethoven and Mozart, the improvisational aspects of jazz enriches her playing of the more structured classical music. "In jazz you can have more style and technique than in classical," she says. "Playing jazz makes classical easier." It's young people like Sewell who are keeping the heritage of jazz in Detroit strong. As Elliot says, jazz is a dialogue, spoken through notes that are played within a community across time periods. "Jazz is an oral tradition," he says. "I'm going to play a song one way, and someone else is going to play it their way. The tradition is about self-expression, and that's what America is about, to be an individual and express yourself, but still be a part of the community." The Gathering Orchestra will be performing a free concert at the Carr Center Gallery on Saturday, Jan. 27 at 7:30 p.m.
All photos, except where mentioned, by Anthony Lanzilote. Read more articles by Glen Morren. 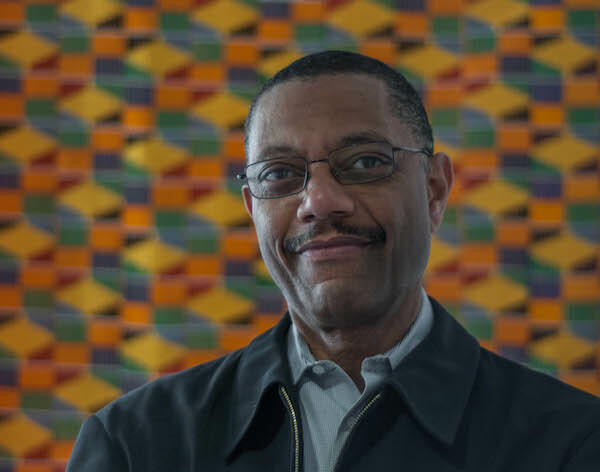 Glen Morren is a musician, writer, and chronicler of Detroit artists.